The Men's Room Just the right… Touch. Product of the Month	2 Comments on Just the right… Touch. The springtime couldn’t smell any better! With a mixture of artemesia, mandarin, violet leaves, nutmeg, Virginia cedarwood… and a few other great ingredients, Burberry Touch for Men delivers the versatility of day and night all in one bottle! It’s often described as “sweet, subtle and masculine” all at the same time, which is why this cologne can easily be dressed up or down. Guys, it’s a great addition to your cologne collection if you haven’t already done so. And, if you aren’t used to getting compliments on the way you smell… get ready! 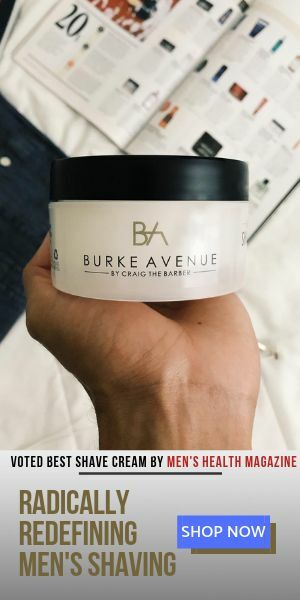 The Gentleman’s Pre Shave Oil! Awesome choice. 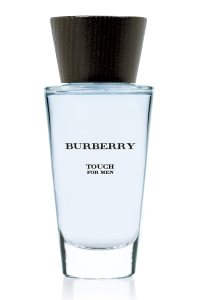 One thing I love about Burberry Touch is it came out a few years ago. The initial hype over the fragrance has died down, making NOW the perfect time to be sporting such a distinct scent. Most people are wearing the latest and greatest, which means I seem progressive by simply pulling out an old favorite. @Ronda, Touch makes the perfect gift for a guy who’s conservative but confident.